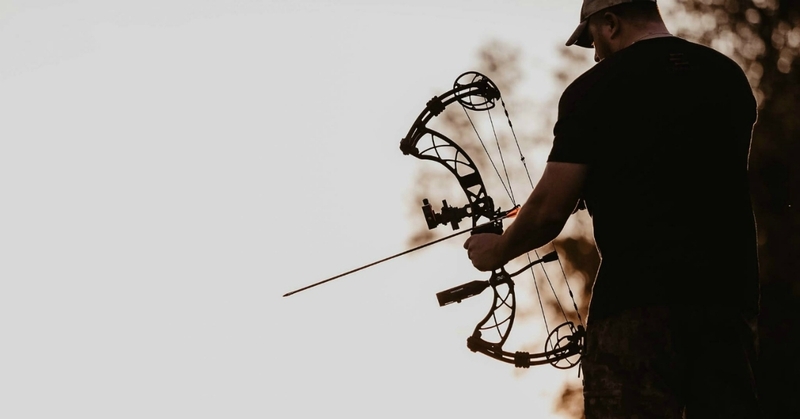 From the 5-inch brace height Mako X that shoots up to 364 fps, to the Perfexion XL target bow, the five new bows from Xpedition Archery offer something for everyone. 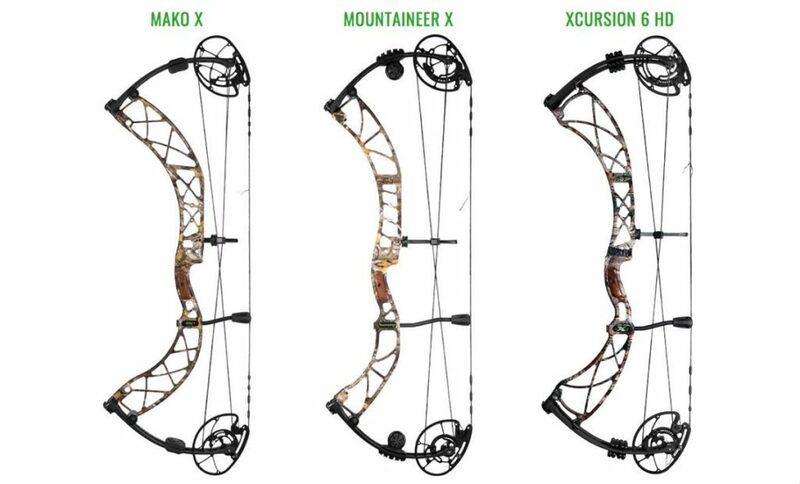 The 2019 offering of bows from Xpedition archery includes four hunting bows and one target bow. All five bows feature modular draw length adjustment in 0.5-inch increments without the need for a bow press. They’re also offered with draw weights of 40, 50, 60, 65 and 70 pounds with 80 percent letoff. Read on to see what makes each bow unique. The Mako X shoots up to 364 fps with a 5-inch brace height and 33.3-inch axle-to-axle measurement. Weighing 3.9 pounds, the Mako X features the XS-M cam with a draw length that’s adjustable from 24.5 inches to 30 inches. The Mako X is available in a variety of riser colors including Realtree Edge, Badlands Approach FX, Molten Black, Tactical Sand and OPS Green along with three limb finishes including Realtree Edge, Badlands Approach FX and Molten Black. MSRP: $1,099. The Mountaineer X is Xpedition’s answer to the call for a performance-driven mid-price point bow. The rotating mod XS-V cam allows the bow to reach speeds of 340 fps with an adjustable draw length from 26.5 inches to 30.5 inches. The Mountaineer X is 33.25-inches axle to axle, weighs 3.9 pounds and has a 7-inch brace height. The Mountaineer X is available with the same riser and limb color options as the Mako X. MSRP: $849. A progression from the 2014 Xcentric, the Xcursion HD series features the XS-HD rotating cam/mod system that allows for convenient adjustability without sacrificing speed. The Xcursion 6 HD, with a 6-inch brace height, shoots up to 354 fps and has an adjustable draw length from 25.5 inches to 30.5 inches. The Xcursion 7 HD has a 7-inch brace height, shoots up to 344 fps and has an adjustable draw length from 26.5 inches to 31.5 inches. Both the 6 HD and 7 HD are 32.375 inches axle to axle and weigh 3.9 pounds. 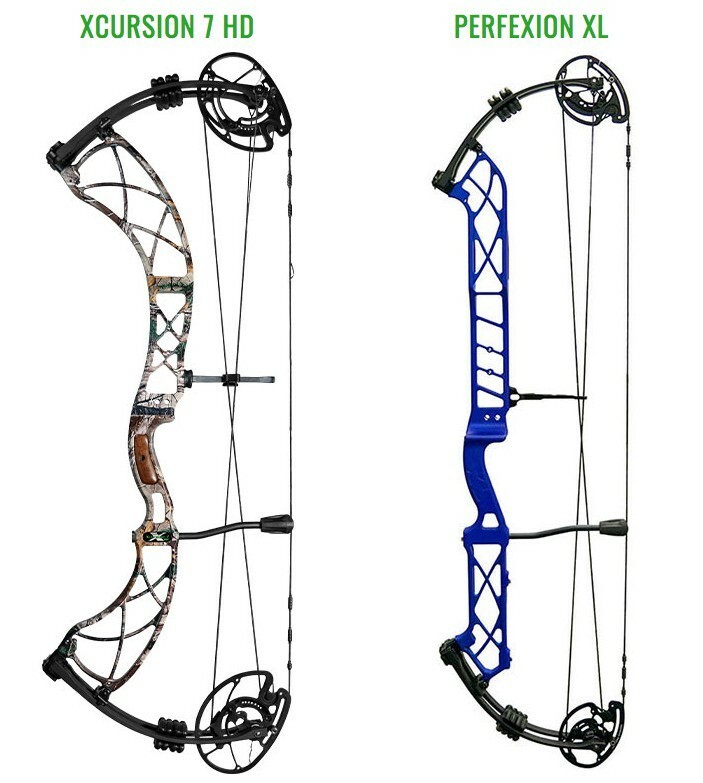 These bows are available with the same riser and limb color options as the Mako X and Mountaineer X, with the addition of Realtree Xtra for limbs and riser. MSRP: $999. The Perfexion XL is Xpedition’s newest target bow, featuring the PXT Cam designed by Kevin Strother. The PXT dual limb stop hybrid cam has 6 inches of draw length adjustment (24.5 inches to 30.5 inches) and Xpedition signature adjustability. With an 8.125-inch brace height and 38-inch axle-to-axle measurement, the Perfexion XL shoots 320 fps. The Perfexion is available with Molten Black limbs and a variety of riser colors including Patriot Red, Nuclear Green, Molten Black, Liberty White and Valor Blue. MSRP: $1,199.